We hear many employers say attracting and retaining talented employees is a top challenge these days, especially in light of record low unemployment levels. The good news is the recent tax law change, which cuts the corporate tax rate from 35 to 21 percent, may make it affordable for employers to boost the benefits they already offer or allow those who’ve never offered benefits to start. 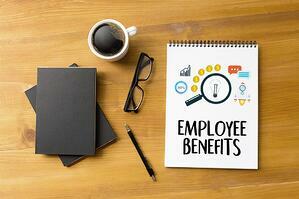 Employee benefits aren’t just good for employees. Employers with healthy workforces often see increased profitability and an improved bottom line. Companies get a tax break for offering certain benefits to employees and many employers also see benefits as a critical tool for attracting and retaining workers, even if they aren’t required to because they are small or rely on part-time staff. Employees have long cited health and wellness, retirement savings plans and paid leave as some of their most desired benefits. Today’s employees are well informed and they are seeking a comprehensive benefits package from their employer. For many, health benefits are just as important as salary and are frequently the differentiating factor in determining whether a candidate accepts a job at one employer versus another. Other benefits employees seek are more policy-based and include flextime, paid time off policies to include holidays and company-sponsored wellness programs. Here at FrankCrum, we’ve seen a steady increase over the years in the number of clients offering health benefits to their employees. Employers who contributed to a group health plan are making higher contributions to offset employee costs. Employers who didn’t offer dental and vision plans are now doing so. Employers who didn’t offer health savings or flexible spending accounts are now doing so. Employers who didn’t offer retirement savings plans are now doing so. How will you use the new corporate tax break to reinvest in your most important asset? Our benefits specialists will work with you to customize the best employee benefits package for your business within your budget. We handle everything from benefits review and selection to enrollment and daily administration. Call 1-800-393-0815 and select option 8 or email us at benefits@frankcrum.com to learn more. 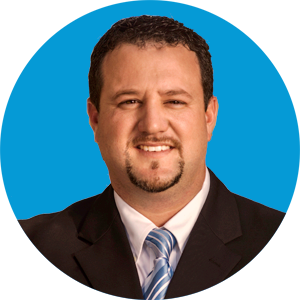 Mike Oddo, Vice President of Broker Sales, is responsible for FrankCrum’s extensive network of internal broker managers, independent agents and PEO brokers nationwide. He has a wealth of experience and success in channel sales development, fostering prosperous relationships for agents and their clients. Mike has been instrumental in the design and ongoing improvement of FrankCrum’s user-friendly quoting platform Quote & Connect, as well as commission structures and innovative sales support programs. He and his team of sales support representatives play a very active role in supporting agents and brokers in the sales process on a daily basis.